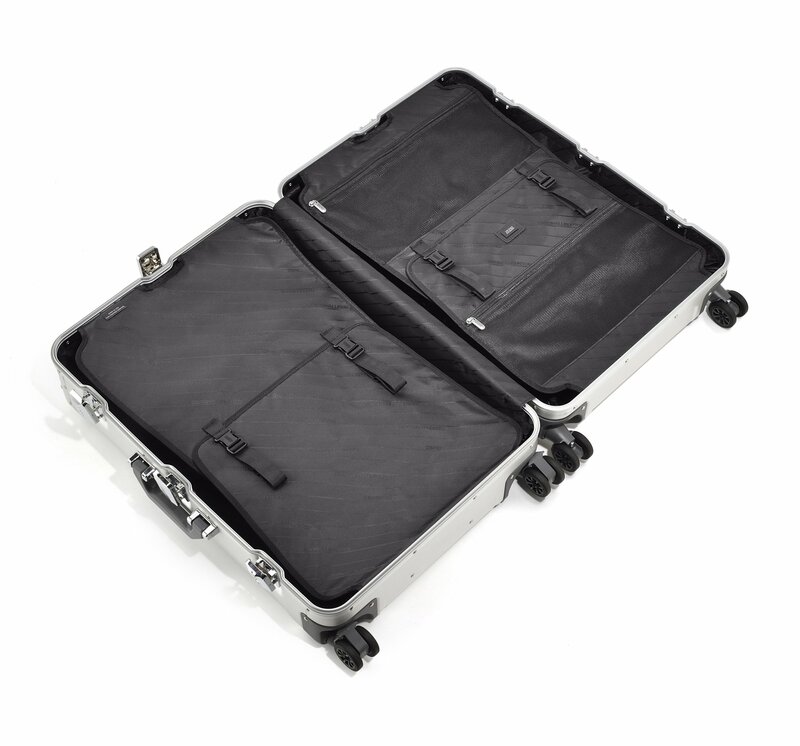 The Geo Aluminum 3.0 26” 4-Wheel Spinner Case has a flexible interior and two TSA-accepted draw-bolt latches for security. MADE IN USA from imported materials. 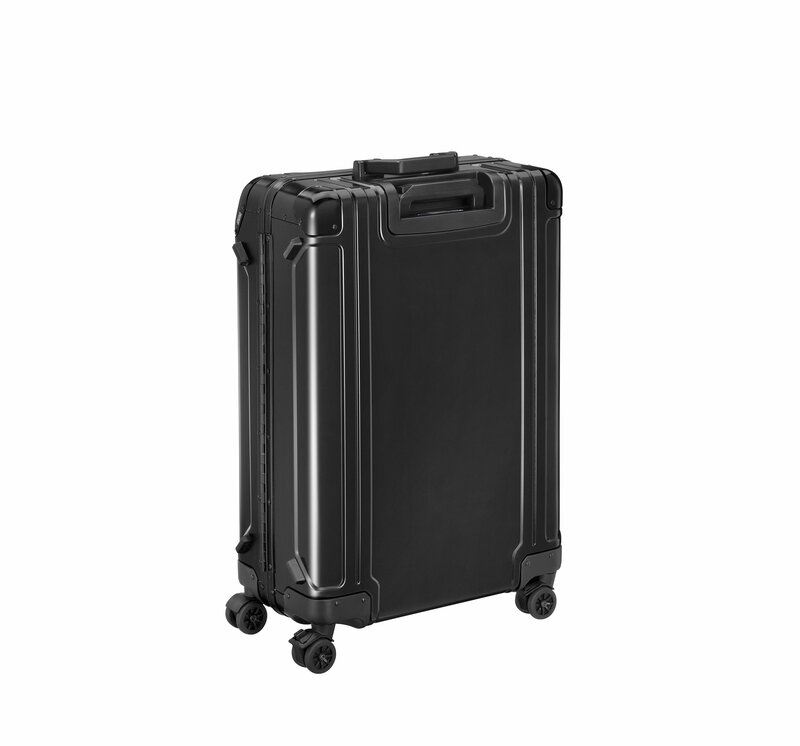 Utilizes premium anodized aluminum that is as strong as steel but only one-fourth the weight. 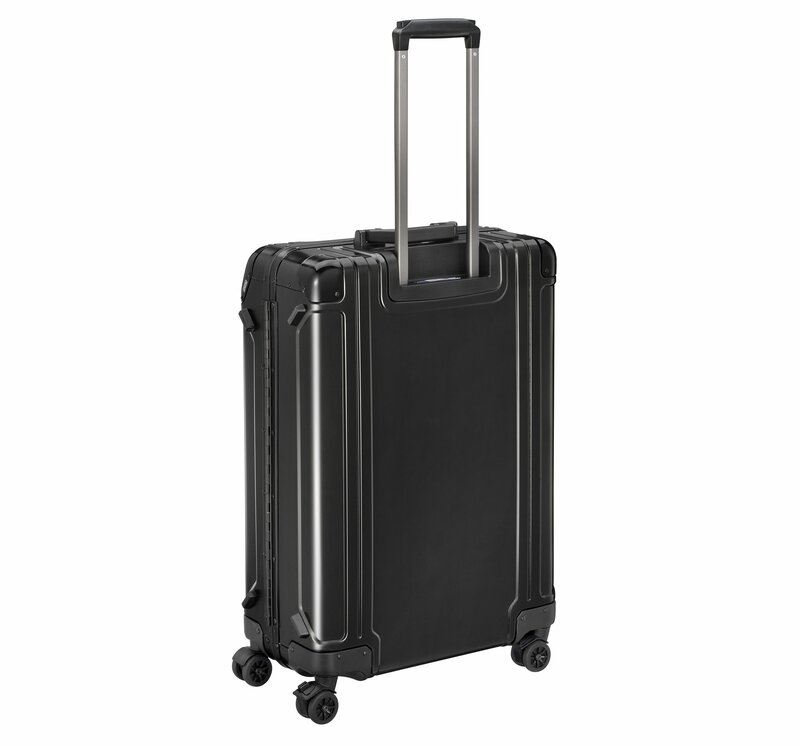 Innovative and unique double-rib design provides additional strength and durability as well as optimum protection of its contents. 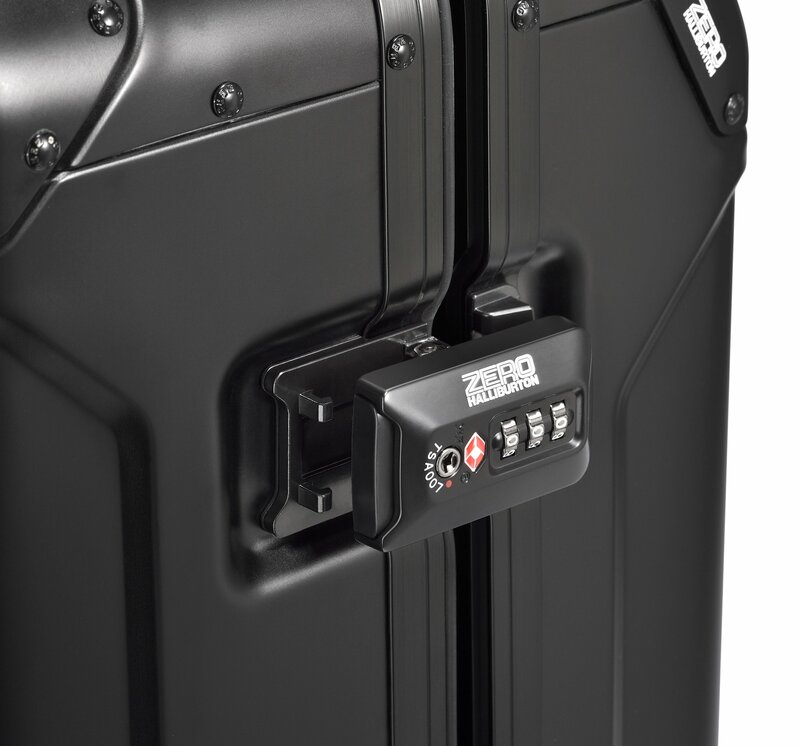 The intuitive 3-stage dual-button handle system allows for quicker release for both left and right-handed travelers. 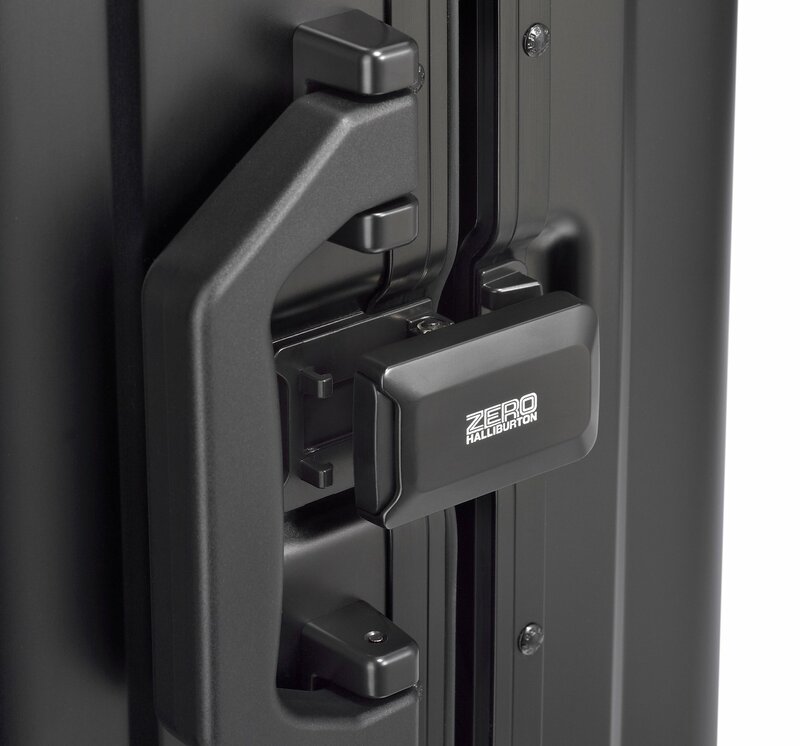 Designed to securely close using two TSA-accepted combination locks that are integrated into the draw-bolt latches. Seals airtight with the addition of a neoprene gasket seal around the opening's perimeter. The spinner wheels provide convenient and controlled 'by-your-side' mobility; larger spinners have locking wheel stoppers to secure in place. Our superior piano hinge is used to keep the shells of each case in alignment and adds additional strength and integrity to the seal. 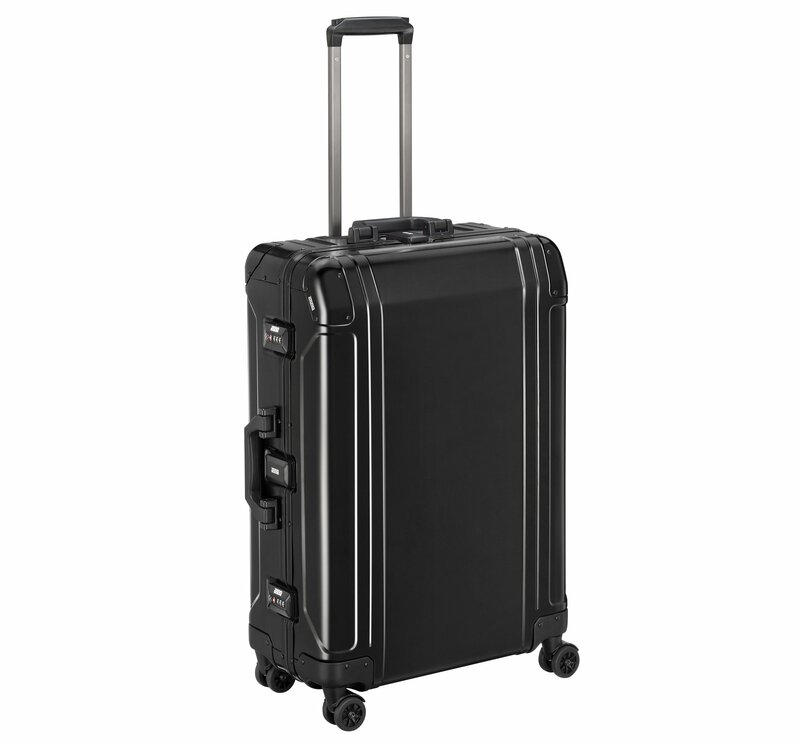 The interior is divided into two compartments with flat panels in place to hold clothes securely and discreetly. Our signature lining is stain-resistant and non-abrasive to clothes; a removable garment sleeve is included for suits or dresses. Our newly introduced ZH Global Tracking allows your case to be tracked anywhere in the world, providing additional peace of mind for your travel.